A boutique hotel overlooking the Gulf of Naples, converted by its owner, a contemporary art lover, into a museum to be experienced. 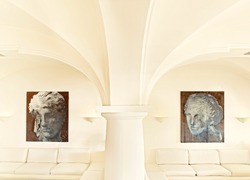 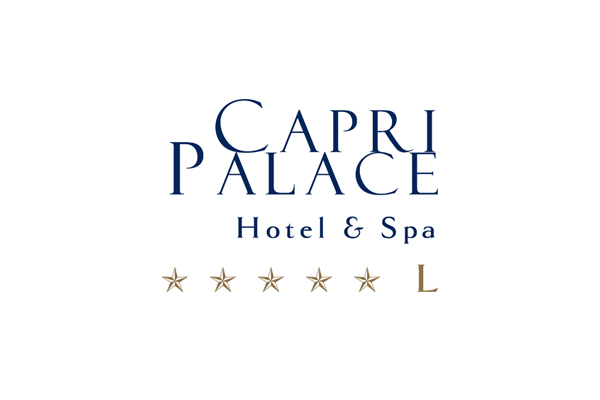 The Capri Palace Hotel & SPA is a boutique hotel whose arches, vaults and columns recall an eighteenth-century Neapolitan palazzo. 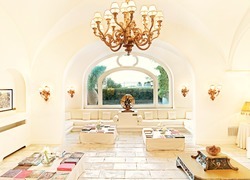 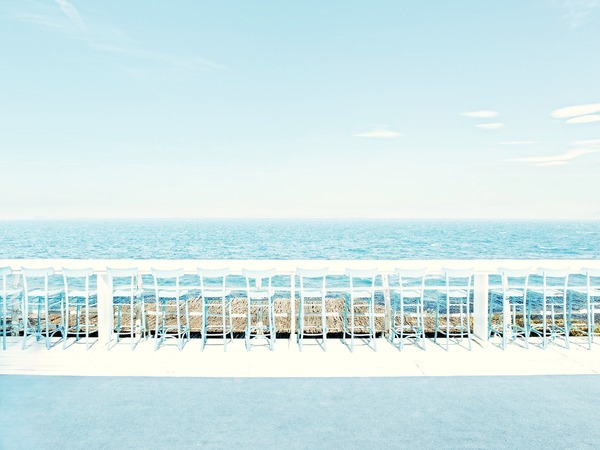 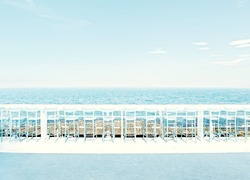 The Resort is just a few steps away from the small and enchanting town of Anacapri. 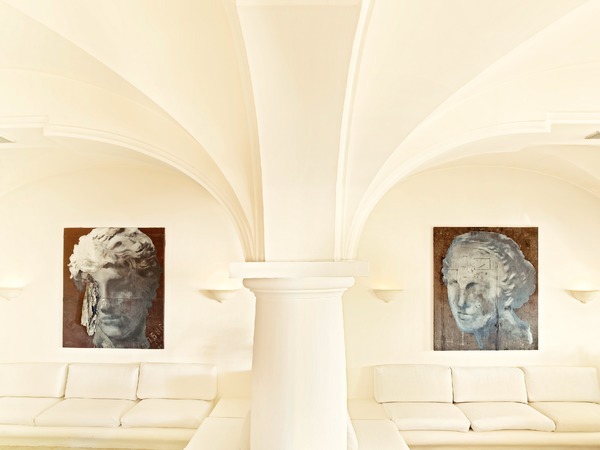 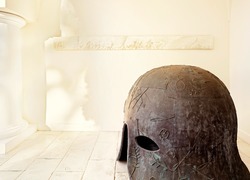 Tonino Cacace, who has studied both philosophy and art history, has turned the hotel which he inherited from his father Mario into a contemporary art museum, with works by many artists both from Italy and abroad. 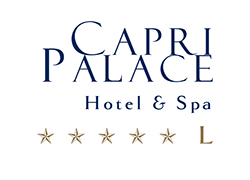 The Capri Palace—listed among "The Leading Hotels of the World"—features 78 rooms and suites, some of which with their own private pool and garden. 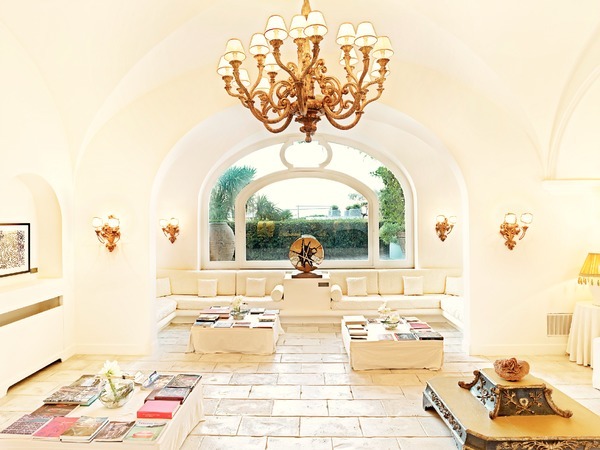 It also has two restaurants, one of which—L'Olivo—was awarded two Michelin stars, the Capri Beauty Farm, an internationally acclaimed wellness center, the Beach Club and, lastly, Il Riccio, a restaurant that's just a stone's throw away from the famous Grotta Azzurra.